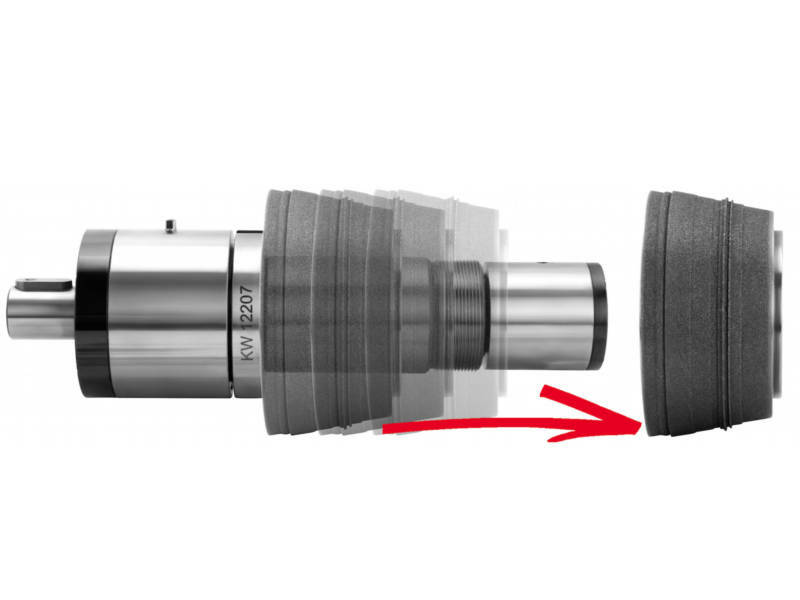 Through the fast-change-system, it is possible to change dressing wheels in the shortest amount of time. Expansion-mandrels take care of form-fitting and safe tension. Thus reducing the extensive setup time to a minimum without missing out on grinding- and dressing quality. The dressing wheel exchange is easy and doesn’t require additional preperation. Your added value: stable safety process and best economy. According to customer request, we design special drive solutions like a HSK port. Dressing mandrels can also be equipped with industry 4.0 ready sensors (RFiD-sensors) and touch sensors (AE-sensors). Sealing air can be retrofitted to existing mandrels, regardless of manufacturer, even without air connection at the machine. Profit from our expertise and the diverse variations of our dressing arbors.